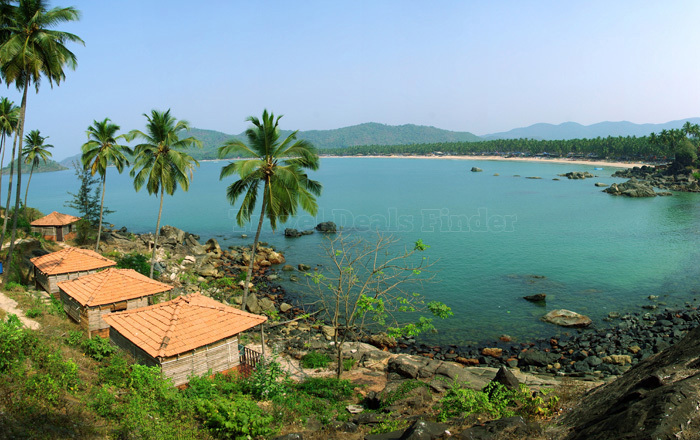 Goa is a real tropical holiday paradise with long sandy beaches. This is a place where people really know how to relax. So come and experience “tranquility wrapped in blue.” Explore this incredible city known for its magnificent beaches, gushing waterfalls and Gothic Churches. Goa is much more than just beaches and sea. It has a soul which goes deep into unique history, rich culture and some of the prettiest natural scenery that India has to offer.Much of the real Goa is in its interiors, both inside its buildings and in the hinterland away from the coastal area. All prices mentioned are ‘Per Person. Departure from Ahmedabad by train no. 16335 Nagercoil express at 11:25hrs. Arrival Madgaon Railway Station at 09:20 hrs. Transfer to hotel by our vehicle. Check in, Day at Leisure. Overnight stay. After breakfast proceed to sightseeing of North Goa. Visit Fort Aguada, Anjuna Beach & Calangute Beach. Back to Hotel & overnight stay. After breakfast proceed to sightseeing of South Goa. Visit Mangueshi Temple, Bom Jesus Church also known as Old goa church, Miramar beach. Evening 1 hour Boat Cruise. Back to Hotel & overnight stay. After Breakfast proceed to Madgaon Railway station. Board train no. 16334 Veraval express at 11:50 hrs. Arrival Ahmedabad at 09:20 hrs. Entry fees/ Camera fees, Guide at tourist place is extra. Package is subject to operational upon booking of minimum numbers of passengers, we reserve the right to cancel /modify the package without prior notice. The Train Timings are subject to change due to operational/ technical requirements of the Railways & we are not liable in case of delays. Travellers to have valid photo id proof for Hotel Check in as required by law due to security reasons. All incidental expenses like laundry, phone etc. to be charged extra. The Package is subject to force de majure conditions. We understand that you have read carefully & agreed all above terms & conditions. If you have not decided yet or wants to customize tour itinerary or hotels listed above in "Enchanting Goa Republic Day Package on Rail Charter", then we can change the travel itinerary and make a personalized, tailor-made holiday package, especially for you. We can modify this travel package as per your itinerary, budget, duration and the tourist places you would like to visit, including transportation and airfare should be included or not. Please fill the form below to contact us.